On-demand or local CRM system: can be easily integrated with the Fenestra AnswerDesk system. Take care Mr. iPad, Androids approaching from several angles! In the run-up to Christmas the iPad's stranglehold on the slate market is looking a little less secure. We review some of the hottest potential competitors available now or coming to the UK in the next few weeks. Except, of course, for the one notable competitor that isn't coming here. According to my MBA, almost anything can be portrayed on a 2D matrix. So here, slates and eReaders are shown in their own 2D-matrix world. Where will we find the new Amazon Kindle - perhaps it might be called the KindleTab? 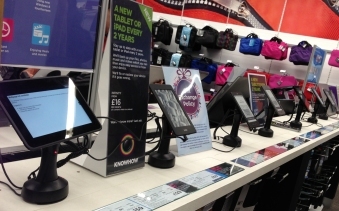 As the year draws to a close, we ventured into three high street staples to see which of 2012's tablet offerings have made it onto physical shelves as well as virtual ones (and which of 2011's are still hanging around! 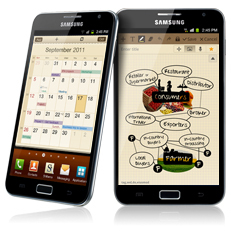 This and the Galaxy Tab 7.7 join the line up this month. They are both pretty fast, but the list is generally still dominated by slates that are rather more cheap than fast. Apple wins a preliminary injunction banning the sale of the Samsung Galaxy Tab 10.1 across the EU. Best Buy have set up some stores in the UK and lost quite a bit of money in the process. I've been to learn how it was done and drawn up a list of the Top Ten tablets available - actually there were only ten. It's a few months now since we returned to the website to give a bit of a once over. 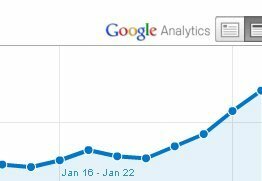 We've been learning our Search Engine Optimisation (SEO) the hard way, but it's starting to pay off. Linden Homes merged with Galliford Try in 2007. This week, the Fenestra Builder Suite which supports their operations was transferred over a single night to a virtualised VMWare server installed at Galliford's Hinckley data centre. Linden will celebrate the benefits of this move as well as their considerable achievement of being named as Housebuilder of the Year, 2010. 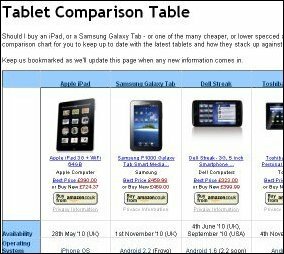 We have now truly entered the tablet zone by creating a table which summarises the specification of a range of tablets / slates for easier comparison. These gadgets should offer the perfect home / business balance in time allowing all of us to save energy not only because the device itself is efficient, but also but also because it can serve as a thin client at the office to give access to a virtualised Windows environment. We are also planning to migrate the technical articles in our bulletin page over to a WordPress server to improve searchability and allow for a more topical update cycle. This News page will follow on to the WordPress server towards the end of the migration plan. We have created our first job share! We needed someone with genuine IT expertise to work part time, and after interviewing a number of candidates decided that the best solution was a job share between Nick, a student, and Sue, a stay-at-home mother seeking to return to the workplace after a break of a few years. Sue - our first philosophy graduate, but also with a commercial background before she had a child - will be covering the term times and Nick - taking Economics at Nottingham - will work in the holidays, with an overlap of a few days for continuity. In case anyone is wondering, this picture is a photomontage. We prepared it as part of the development process. The 6kW turbine passed the planning hurdle at the first attempt. The grant process is more of a challenge. The submission has just been made and included 22 Email attachments in five different formats as a well as a complete hard copy. Once installed, the turbine will deliver most of the power needed for our hosting servers making us much more cost-efficient and greener at the same time. Alex asked for a clean and simple website which looks elegant. It's in keeping with the style of his work and includes a slideshow to give an idea of some of the houses he's worked on and how the light is utilised to give an open and airy feel. We've bought one. It's an Archos 5 Internet Media Tablet - what a name! The gadget itself is small, but as the picture shows, larger than an iPhone. It's slim and stylish to look at, but with a bit of a flimsy "kick-stand." It has the new N-type WiFi and slightly inaccurate SatNav, but no 3G. Will this be the first of many tablets? Arley Homes, who have been a client at the north west office for a couple of years, have now moved to new premises - The Old Rectory, Winwick, near Warrington. It's very posh. As their housebuilder app is hosted by us, they had full access as soon as their local network went live despite having rearranged printers etc. Fenestra Customer Relationship Management has been released. Connect CRM offers a hosted solution for sales force automation and campaign management, which can be deployed within days. However, clients may decide to host data on their own site. It's easy to use, flexible, fast to deploy, and has low cost of ownership. What's more, Connect CRM can be easily integrated with the Fenestra Helpdesk for ongoing Customer Services / Support solutions. 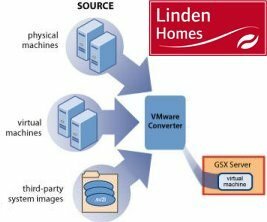 Fenestra has completed the transfer of Linden's house building application to a single Windows Server. The software employs the Terminal Server architecture allowing all users to access live data hosted at Linden HQ either via the web or Remote Desktop. The change will enhance and speed up end user experience and allow for quicker and cheaper upgrades in the future. Linden Homes are using a bespoke application to manage house building operations. The functionality of the suite extends from production control and purchasing to sales, marketing and customer care. The application contains five main modules: Technical, Commercial, Purchasing, Sales and Customer Services. The transfer was combined with the deployment of new features to integrate Fenestra's house building software with our Connect CRM. The specialist house building CRM has been successfully used for over 2 years to capture and manage new Linden Homes' customers and mail merge and reporting. 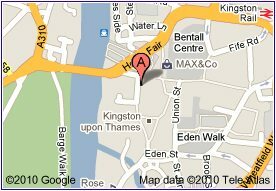 Fenestra has moved to Kingston-upon-Thames. 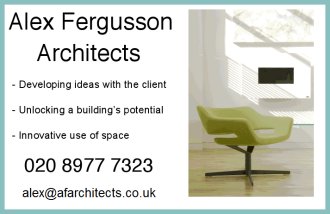 Our new office space is above the Chelsea Building Society and located in the centre of town. Chelmsford Financial Management are Independent Financial Advisors We adopted their legacy DOS-based FoxPro system 5 years ago but now they need a full Windows-based replacement. After discussing requirements, the easiest and most cost effective solution was to extract and convert existing data into MS Access which is particularly suitable for a small office (up to 5 users). The new application has a set of standard reports with the ability to do mail merge allowing sales representatives to mailshot clients at particular times e.g. all clients with a birthday in the current month. Prudential have installed a system to analyse and present marketing data supplied to them by the Association of British Insurers (ABI). The system which has been developed from an earlier database is in Access and presents results graphically using Microsoft Excel. 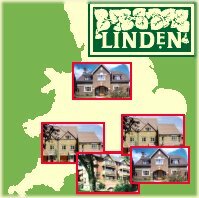 Linden Plc, based in Caterham, but with offices around England, builds high quality houses on small and medium-sized developments and delivers a high standard of after sales service. This is where the Fenestra Answerdesk Customer Care comes to the fore. The new application is tailored to Linden's requirement and helps Teams at each office to maintain consistency between calls and to respond quickly to the needs of new homeowners. Fenestra is now developing software to handle all the high-volume elements of Linden's day-to-day workflow. This will minimize the duplication of effort for Linden's staff, clients and suppliers. The Mezzanine Floor Company required a replacement to their existing DOS based Quotation System. A mezzanine floor has many components and can be constructed in different ways. Elements of the legacy system were hard-coded and we particularly had to improve flexibility for the new application. The main quotation section is now data-driven from a checklist. For each different type of quote, a checklist can be set up consisting of the lines which may appear in the quote. Our new quote-builder app first asks for general information such as the date and client details the user then selects a quote type and is prompted for required inputs. The application has the ability to perform calculations on the data. Once all the lines are complete the user can print the quotation. The data-driven approach provides flexibility in determining what components make up a quote and what inputs must be requested. MS Access on a laptop, or access virtually from a tablet, allows a surveyor to build up a quote and then view it back in the office. In future the system could be integrated with MS Outlook or Google Apps to hold extra contact, communication and diary details. With this installation in Madrid, Vanco Ltd is using the Fenestra Network Helpdesk in all their major European Network Management Centres. The application allows helpdesk information to be entered in each of the local offices while control of the network topology is centred on the UK head office. Calls can be shared between two or more offices with only the minimum quantity of data being transferred between sites to keep network traffic down. Issues (tickets) can be passed between offices which operatea sun-chasing system. Offices located around the world like this need only be open during their local working hours and yet deliver a 24-hour service to clients. Dealers and their teams selling Orange mobile phones can soon earn extra points in their rewards scheme. The Fenestra Incentive Management System now supports the distribution and marking of quiz cards - multi-choice questionnaires testing their knowledge of the Orange product portfolio. Successful answers will add to the points the team has earned through selling phones and contracts. Next time around, individuals will receive tailored quizzes giving them a second chance to answer questions they missed the first time. The winners this autumn will be going on a murder mystery weekend. Fenestra's Network Helpdesk has now been installed in Vanco's Frankfurt office - which is actually in Neu-Isenburg. Client data is shared between all sites while calls (tickets) are created at one site and viewed where they are needed on a real-time basis. This system achieves effective sharing of information while only occupying a small WAN bandwidth. Earlier we set up the Amsterdam office. A full range of reports can be generated locally and client reports in HTML format can be Emailed or viewed on a website. 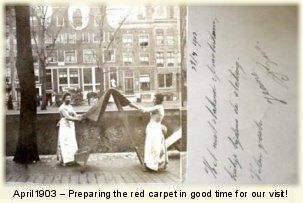 Vanco's Amsterdam office is close to Schiphol airport, but we drove both ways and felt the full impact from a failed silencer (muffler to many readers). A particularly radical short cut took us via the Champs Elysee. Using our new Questionnaire Analysis Application, hospital managers can now view graphs comparing their patient care satisfaction survey results. These are presented on paper and available in Excel spreadsheet format.